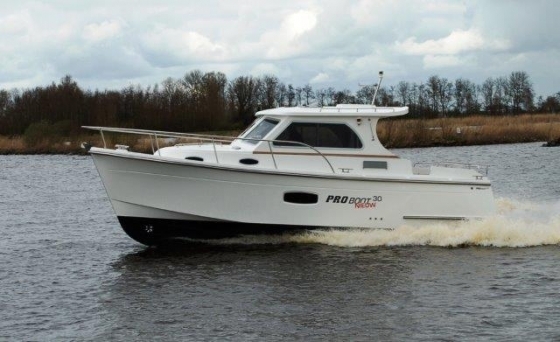 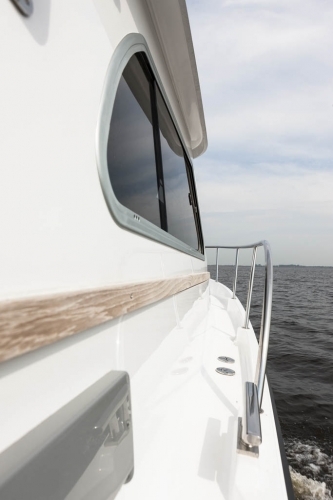 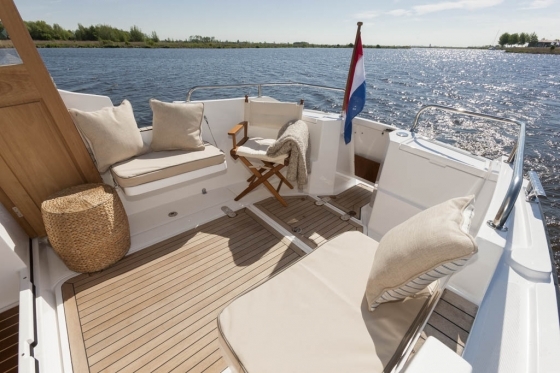 With PROboot, Jansma Jacht has added a new brand to its range. For example, motor yachts are produced at the request of Jansma Jacht in England where the past has shown that they are perfectly capable of building a solid and seaworthy, polyester ship. The models are versatile, very suitable for inland and coastal waters and open sea, and in our opinion an absolute ‘economic’ CE-B certified all-rounder. 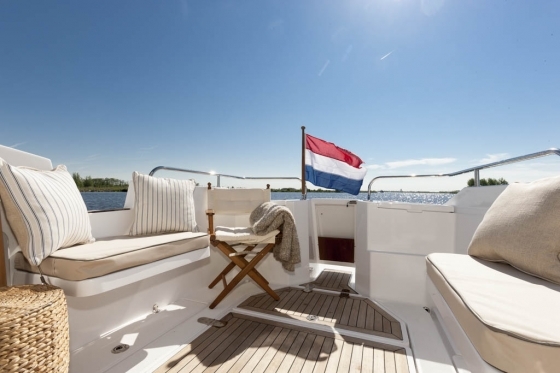 It is a traditional, timeless lined ship with a beautiful hull shape that is calculated on almost all weather conditions of our northern climate. 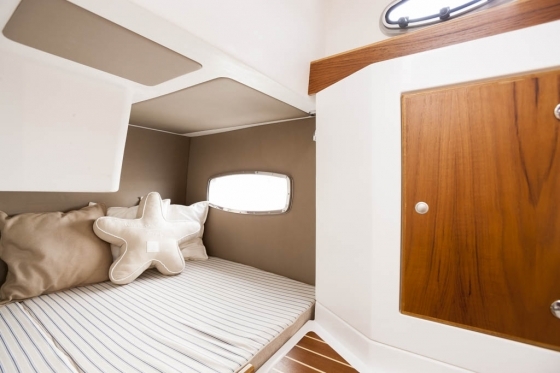 The ship is suitable for sailing comfortably all year round. 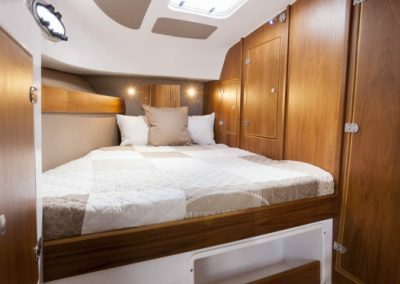 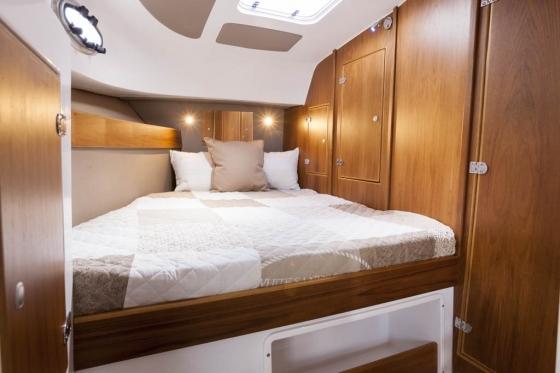 The PROboot 30 has a shower, toilet and four sleeping places. 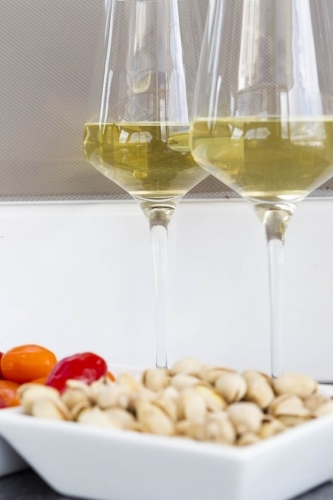 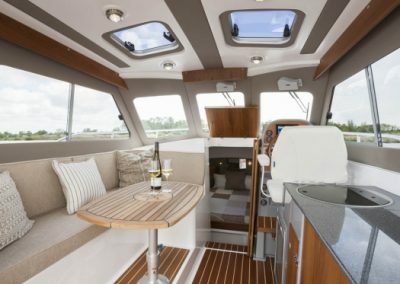 The galley is situated in the salon and is equipped with a refrigerator and oven / stove that can be supplied with alcohol or gas. 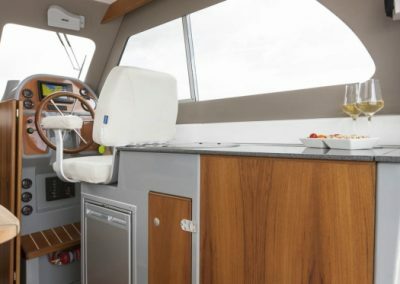 From the wheelhouse, the self-opening cockpit can easily be entered through the folding saloon doors. 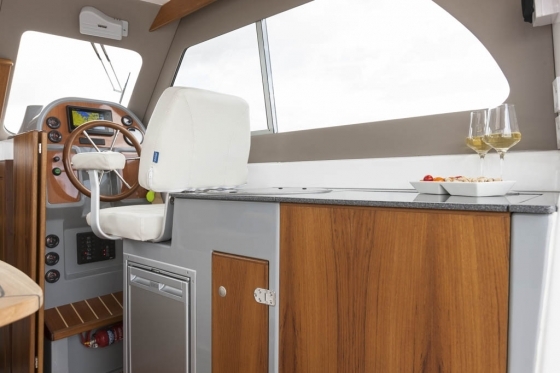 The cockpit can be arranged as desired for sea fishing or in the comfortable lounge version. 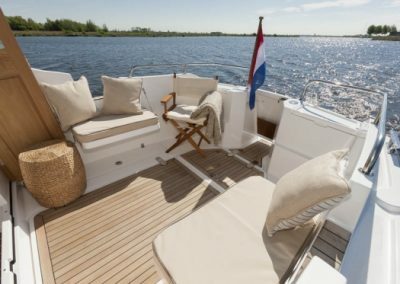 To ensure a good price / quality and service, all installations and engines are Dutch-made. 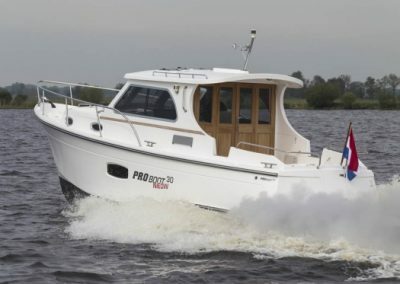 The model is equipped with an 80 hp as standard. 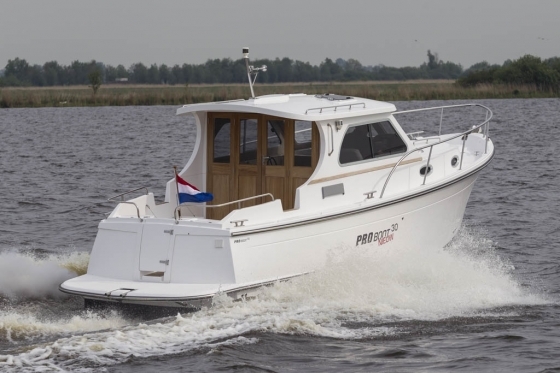 Vetus diesel with propeller shaft drive and optionally available with a 250 hp. from the same brand. 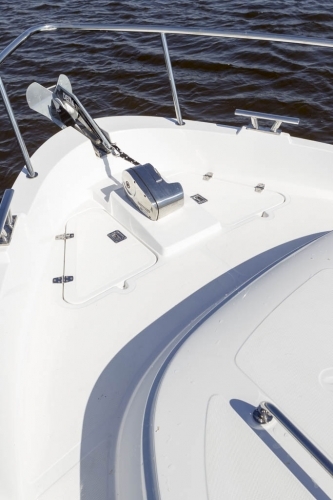 The propeller is optimally protected by means of a robust rudder heel. 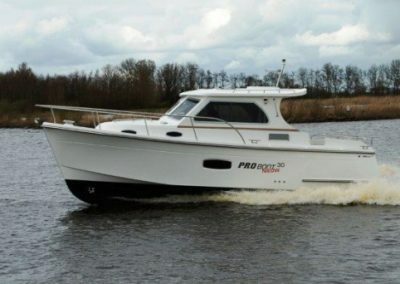 You are most welcome in Sneek to view the PROboot 30 without any obligation. 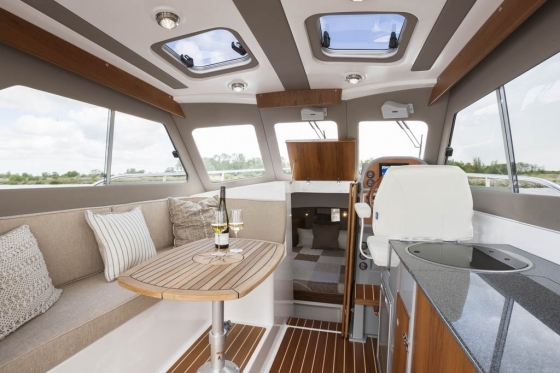 Test 11.2016 by the Skipper magazine (German water sports magazine). 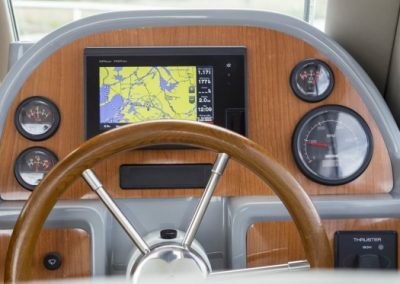 Through this link you will find a comprehensive report of this test. 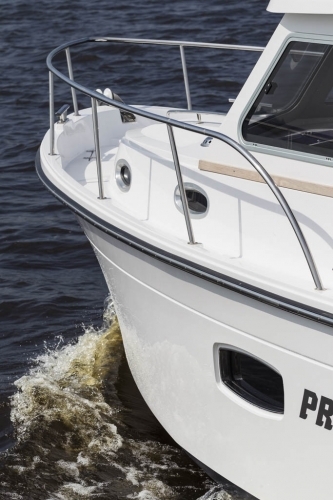 Test 09.2016 by the magazine WasserSport (German water sports magazine). 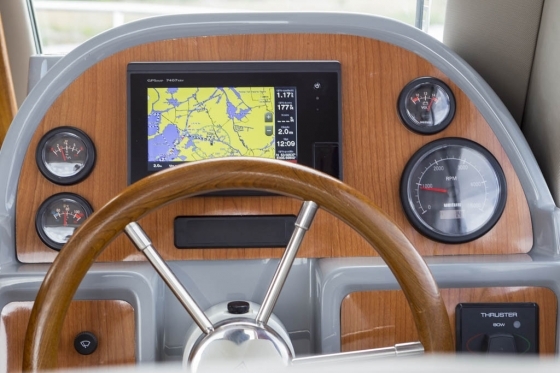 Through this link you will find a comprehensive report of this test.